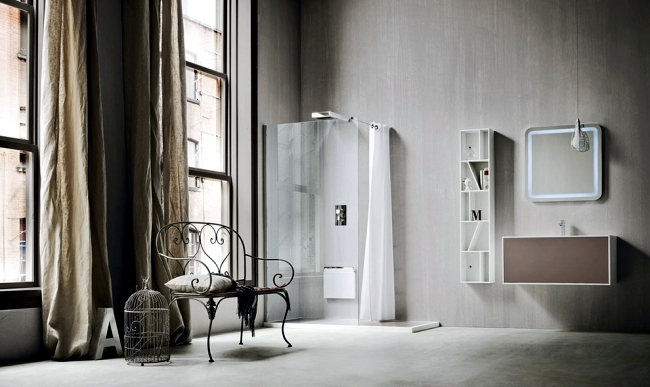 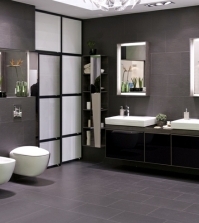 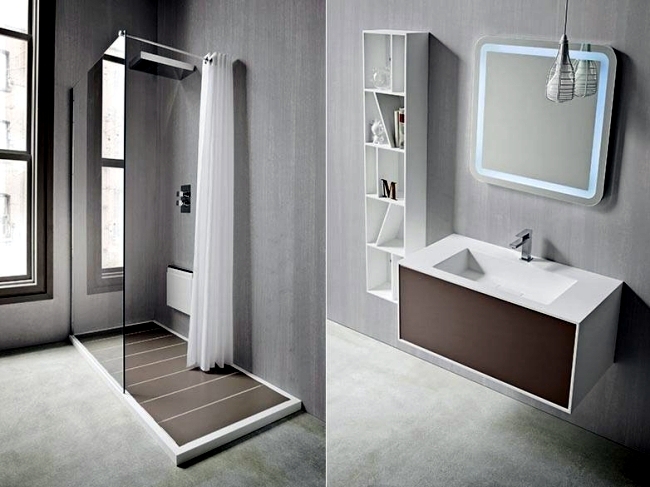 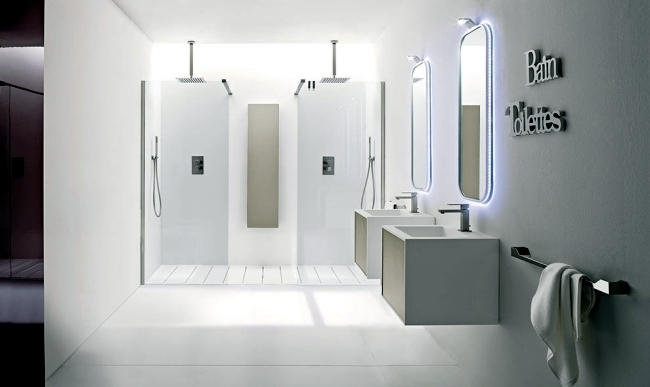 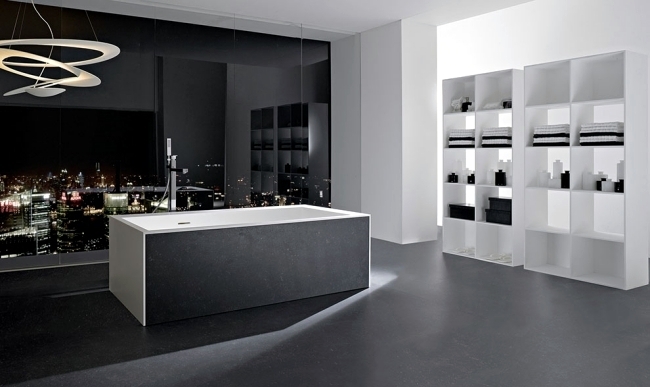 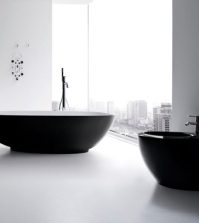 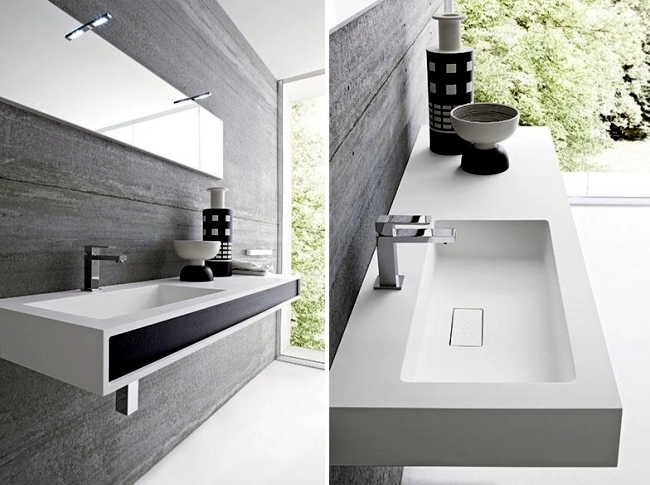 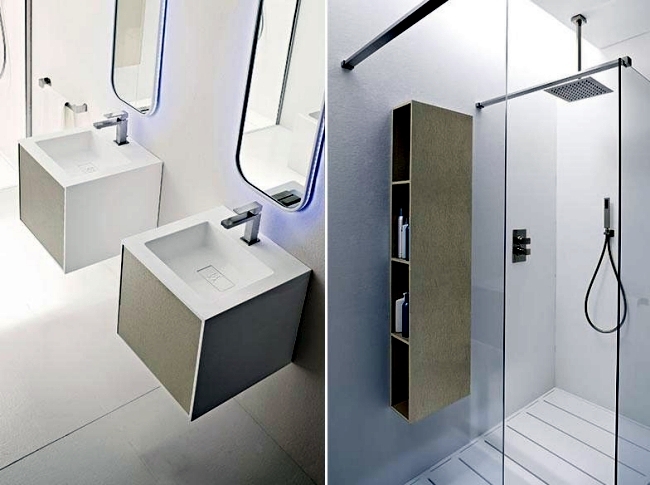 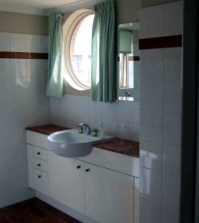 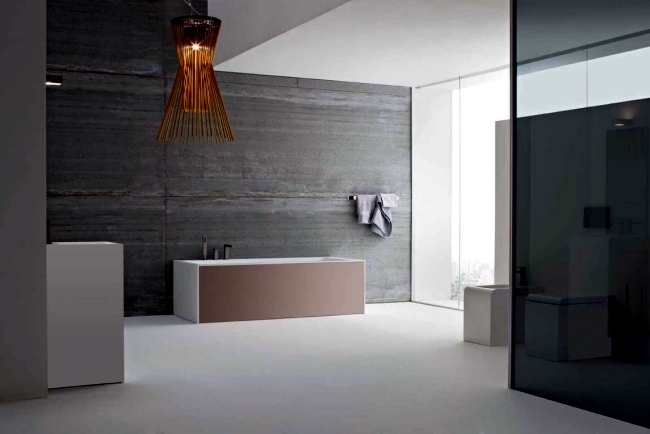 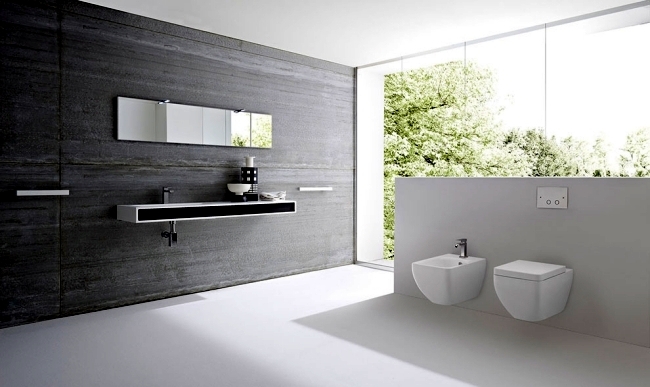 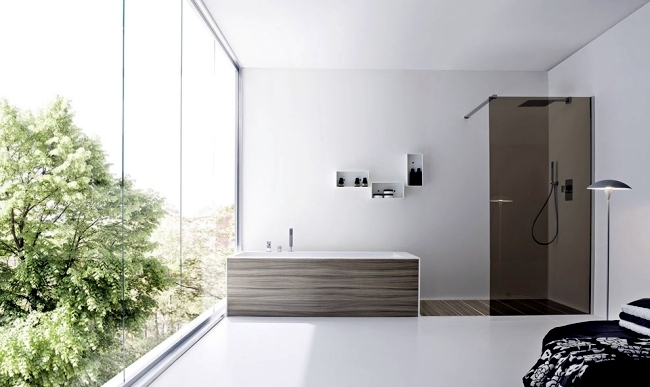 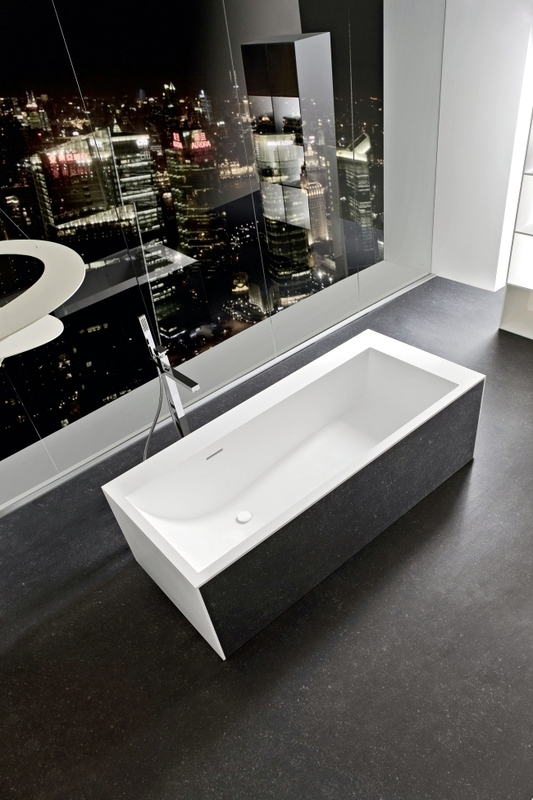 The design of the bathroom Rexa Design is characterized by modern simplicity and clear geometric aesthetic. 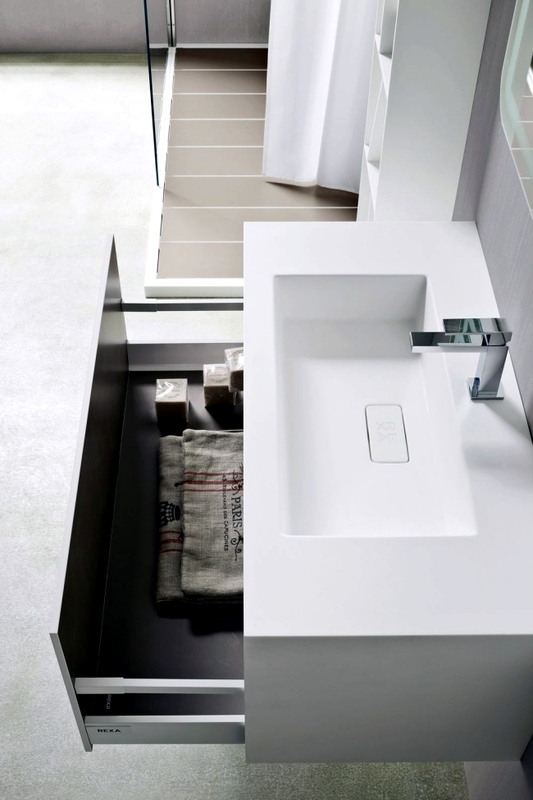 Square shapes underline the elegance of Giano furniture series. 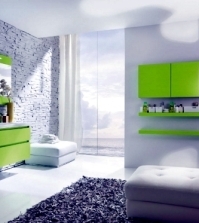 Now, to check the exclusive interior solutions to society! 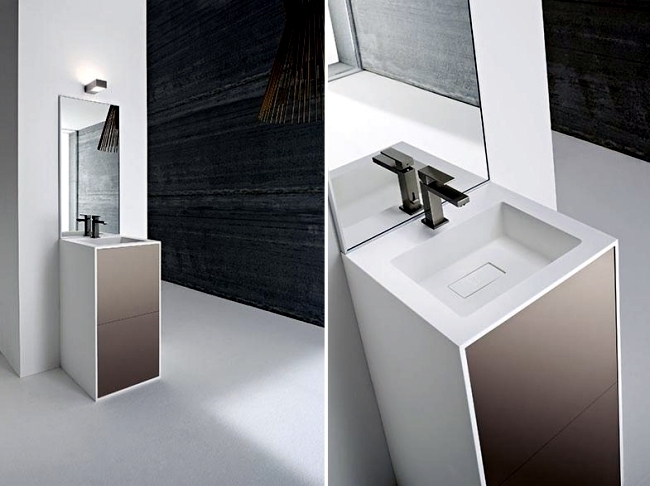 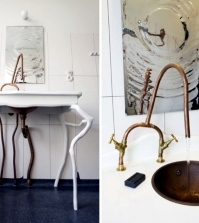 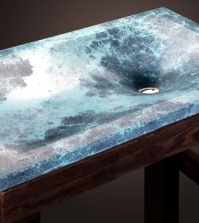 The series includes freestanding bathtubs, sinks, vanity units of matter or Korakril patented HPL. 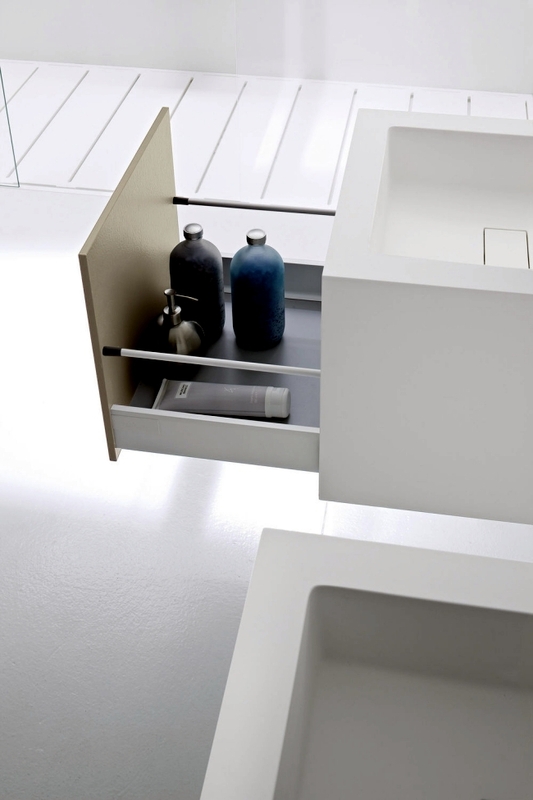 water lattes and drawer fronts plywood complete the atmosphere. 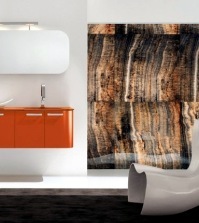 The square edges are a strict and troztdem most current atmosphere. 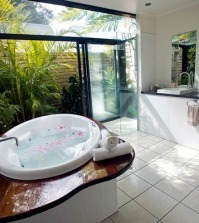 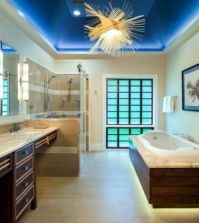 For the most exclusive bathtubs and wall mirrors were completed with integrated LED lighting. 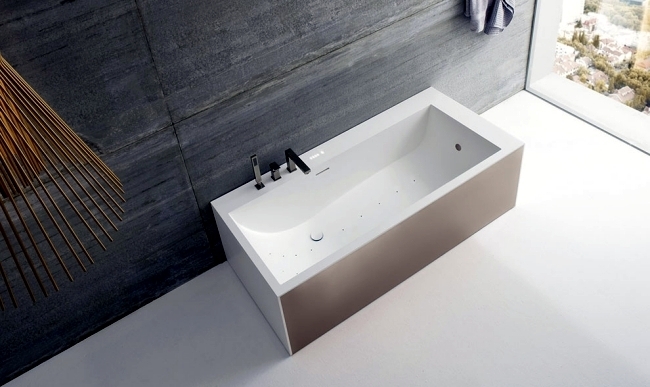 Bathtubs and sinks Giano are available in several color versions - for every style and taste is definitely something there. 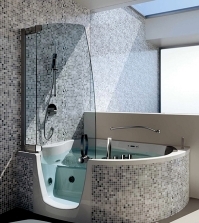 The tub is Korakril on adjustable feet. 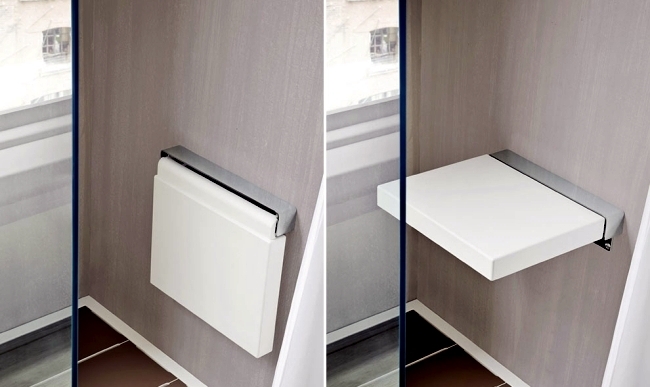 The inside edges are rounded. 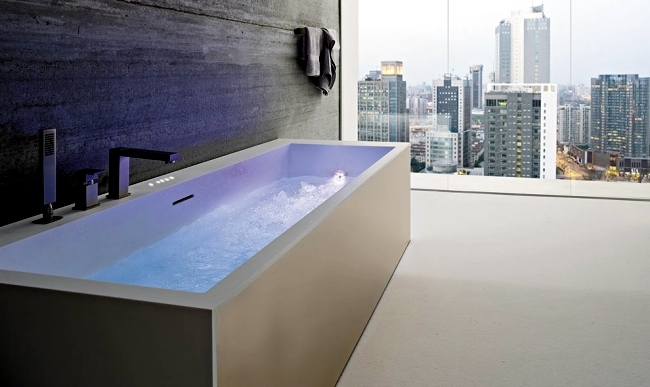 For your well-being touch control on the edge of the bathtub, which regulates airpool system with hydrotherapy and chromotherapy offer. 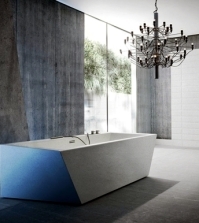 After air-massage bath in Giano feel free and rested in a positive mood and have more energy.